Records mention the Gopalas and Mahishapalas believed to have been the earliest rulers with their capital at Matatirtha, the south-west corner of the Kathmandu Valley. From the 7th or 8th Century B.C. the Kirantis are said to have ruled the valley. Their famous King Yalumber is even mentioned in the epic, ‘Mahabharat’. Around 300 A.D. the Lichhavis arrived from northern India and overthrew the Kirantis. One of the legacies of the Lichhavis is the Changu Narayan Temple near Bhaktapur, a UNESCO World Heritage Site (Culture), which dates back to the 5th Century. In the early 7th Century, Amshuvarma, the first Thakuri king took over the throne from his father-in-law who was a Lichhavi. He married off his daughter Bhrikuti to the famous Tibetan King Tsong Tsen Gampo thus establishing good relations with Tibet. The Lichhavis brought art and architecture to the valley but the golden age of creativity arrived in 1200 A.D with the Mallas.During their 550 year rule, the Mallas built numerous temples and splendid palaces with picturesque squares. It was also during their rule that society and the cities became well organized; religious festivals were introduced and literature, music and art were encouraged. 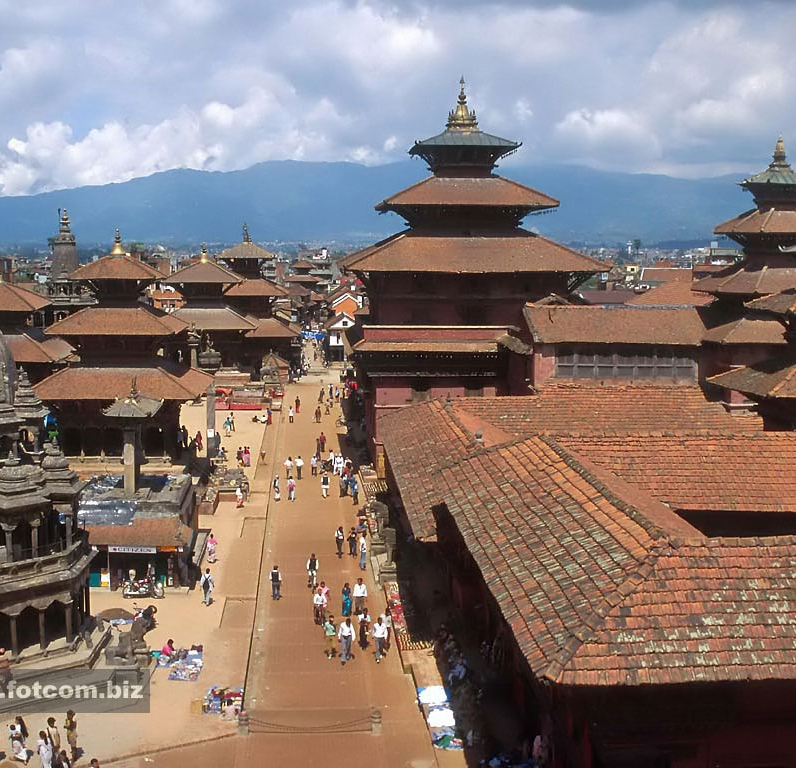 After the death of Yaksha Malla, the valley was divided into three kingdoms: Kathmandu (Kantipur), Bhaktapur (Bhadgaon) and Patan (Lalitpur). Around this time, the Nepal as we know it today was divided into about 46 independent principalities. One among these was the kingdom of Gorkha with a Shah ruler. Much of Kathmandu Valley’s history around this time was recorded by Capuchin friars who lived in the valley on their way in and out of Tibet.An ambitious Gorkha King named Prithvi Narayan Shah embarked on a conquering mission that led to the defeat of all the kingdoms in the valley (including Kirtipur which was an independent state) by 1769. Instead of annexing the newly acquired states to his kingdom of Gorkha, Prithvi Narayan decided to move his capital to Kathmandu establishing the Shah dynasty which ruled unified Nepal from 1769 to 2008.The history of the Gorkha state goes back to 1559 when Dravya Shah established a kingdom in an area chiefly inhabited by Magars. During the 17th and early 18thcenturies, Gorkha continued a slow expansion, conquering various states while forging alliances with others. Prithvi Narayan dedicated himself at an early age to the conquest of the Kathmandu Valley. Recognizing the threat of the British Raj in India, he dismissed European missionaries from the country and for more than a century, Nepal remained in isolation.During the mid-19th Century Jung Bahadur Rana became Nepal’s first prime minister to wield absolute power relegating the Shah king to mere figureheads. He started a hereditary reign of the Rana Prime Ministers that lasted for 104 years. The Ranas were overthrown in a democracy movement of the early 1950s with support from the-then monarch of Nepal, King Tribhuvan. Soon after the overthrow of the Ranas, King Tribhuvan was reinstated as the Head of the State. In early 1959, Tribhuvan’s son King Mahendra issued a new constitution, and the first democratic elections for a national assembly were held. The Nepali Congress Party was victorious and their leader, Bishweshwar Prasad Koirala formed a government and served as prime minister. But by 1960, King Mahendra had changed his mind and dissolved Parliament, dismissing the first democratic government.After many years of struggle when the political parties were banned, they finally mustered enough courage to start a People’s Movement in 1990. Paving way for democracy, the then-King Birendra accepted constitutional reforms and established a multiparty parliament with King as the Head of State and an executive Prime Minister. In May 1991, Nepal held its first parliamentary elections. In February 1996, the Maoist parties declared People’s War against monarchy and the elected government.Then on 1st June 2001, a horrific tragedy wiped out the entire royal family including King Birendra and Queen Aishwarya with many of their closest relatives. With only King Birendra’s brother, Gyanendra and his family surviving, he was crowned the king. King Gyanendra abided by the elected government for some time and then dismissed the elected Parliament to wield absolute power.In April 2006, another People’s Movement was launched jointly by the democratic parties focusing most energy in Kathmandu which led to a 19-day curfew. Eventually, King Gyanendra relinquished his power and reinstated the Parliament.On November 21, 2006, Prime Minister Girija Prasad Koirala and Maoist chairman Prachanda signed the Comprehensive Peace Agreement (CPA) 2006, committing to democracy and peace for the progress of the country and people. A Constituent Assembly election was held on April 10, 2008. On May 28,2008, the newly elected Constituent Assembly declared Nepal a Federal Democratic Republic, abolishing the 240 year-old monarchy. Nepal today has a President as Head of State and a Prime Minister heading the Government. Nepal is located in South Asia between China in the north and India in the south, east and west. While the total land area is 147,181 sq. km including water area of the country that is 3,830 sq. km. The geographical coordinates are 28°00′N 84°00′E. Nepal falls in the temperate zone north of the Tropic of Cancer.Nepal’s ecological zones run east to west about 800 km along its Himalayan axis, 150 to 250 km north to south, and is vertically intersected by the river systems. The country can be divided into three main geographical regions: Himalayan region, mid hill region and Terai region. The highest point in the country is Mt. Everest (8,848 m) while the lowest point is in the Terai plains of Kechana Kalan in Jhapa (60 m).The Terai region, with width of ranging 26 to 32 km and altitude ranging from 60 -305 m, occupies about 17 percent of total land area of the country. Kechana Kalan, the lowest point of the country with an altitude of 60 m, lies in Jhapa district of the eastern Terai.The southern lowland Terai continues to the Bhabar belt covered with the Char Kose Jhadi forests known for rich wildlife. Further north, the Siwalik zone (700 – 1,500 m) and the Mahabharat range (1,500 – 2,700 m) give way to the Duns (valleys), such as Trijuga, Sindhuli, Chitwan, Dang and Surkhet. The Midlands (600 – 3,500 m), north of the Mahabharat range is where the two beautiful valleys of Kathmandu and Pokhara lie covered in terraced rice fields, and surrounded by forested watersheds.The Himalayas (above 3,000 m) comprises mountains, alpine pastures and temperate forests limited by the tree-line (4,000 m) and snow line (5,500 m). Eight of the 14 eight-thousanders of the world lie in Nepal: Sagarmatha or Mount Everest (8,848 m), Kanchenjunga (8,586 m), Lhotse (8,516 m), Makalu (8,463 m), Cho Oyu (8,201m), Dhaulagiri (8,167 m), Manaslu (8,163 m) and Annapurna (8,091 m). The inner Himalayan valley (above 3,600 m) such as Mustang and Dolpa are cold deserts sharing topographical characteristics with the Tibetan plateau.Nepal holds the so called “waters towers of South Asia” with its 6,000 rivers which are snow-fed or dependent on rain. The perennial rivers include Mahakali, Karnali, Narayani and Koshi rivers originating in the Himalayas. Medium-sized rivers like Babai, West Rapti, Bagmati, Kamla, Kankai and Mechi originate in the Midlands and Mahabharat range. A large number of seasonal streams, mostly originating in Siwaliks, flow across the Terai.Of 163 wetlands documented, the nine globally recognized Ramsar sites are: Koshi Tappu Wildlife Reserve, Beeshazarital (Chitwan), Jagdishpur Reservoir (Kapilvastu) Ghodaghodi Tal (Kailali) in the Terai, and Gokyo (Solukhumbu), Phoksundo (Dolpa), Rara (Mugu) and Mai Pokhari (Ilam) in the mountain region.There are more than 30 natural caves in the country out of which only a few are accessible by road. Maratika Cave (also known as Haleshi) is a pilgrimage site associated with Buddhism and Hinduism. Siddha Cave is near Bimalnagar along the Kathmandu-Pokhara highway. Pokhara is also known for caves namely Bats’ shed, Batulechar, Gupteswar, Patale Chhango. The numerous caves around Lo Manthang in Mustang include Luri and Tashi Kabum which house ancient murals and chhortens dating back to the 13th century. Climatic conditions of Nepal vary from one place to another in accordance with the geographical features. In the north summers are cool and winters severe, while in south summers are tropical and winters are mild. Nepal has namely five major seasons: spring, summer, monsoon, autumn and winter.An average temperature drop of 6°C occurs for every 1,000 m gain in altitude. In the Terai, summer temperatures exceed 37° C and higher in some areas, winter temperatures range from 7°C to 23°C in the Terai. In mountainous regions, hills and valleys, summers are temperate while winter temperatures can plummet under sub zero. The valley of Kathmandu has a pleasant climate with average summer and winter temperatures of 19°C – 35°C and 2°C – 12°C respectively.The Himalayas act as a barrier to the cold winds blowing from Central Asia in winter, and forms the northern boundary of the monsoon wind patterns. Eighty percent of the precipitation is received during the monsoon (June-September). Winter rains are more pronounced in the western hills. The average annual rainfall is 1,600 mm, but it varies by eco-climatic zones, such as 3,345 mm in Pokhara and below 300 mm in Mustang.An interesting fact is that there is no seasonal constraint on traveling in and through Nepal. Even in December and January, when winter is at its severest, there are compensating bright sun and brilliant views. As with most of the trekking areas in Nepal, the best time to visit are during spring and autumn. Spring is the time for rhododendrons while the clearest skies are found after the monsoon in October and November. However, Nepal can be visited the whole year round. Nepal’s 20 protected areas cover 23.23 percent of its land. Its 10 national parks, three wildlife reserves, six conservations areas and one hunting reserve cover various geographical locations from the sub-tropical Terai jungles to the arctic Himalayan region. Two of Nepal’s natural areas are listed by UNESCO as Natural World Heritage Sites. They are: Chitwan National Park and Sagarmatha National Park.Comprising only 0.1 percent of the total land area on a global scale, Nepal possesses a disproportionately rich biodiversity. Of the total number of species found globally, Nepal possesses 2.80 percent plants, 3.96 percent mammals, 3.72 percent butterflies and 8.9 percent of birds. Of 6,391 species of flowering plants recorded in Nepal, 399 are endemic. Among the 399 endemic flowering plants in Nepal, 63 percent are from the high mountains, 38 percent from the mid hills, and 5 percent from the Terai and Siwaliks. Similarly, the central region contains 66 percent of the total endemic species followed by western (32 percent) and eastern regions (29 percent).Nepal’s wildlife belong to the Palaearctic and Indo-Malayan realms. The 136 ecosystems is confined to 11 bio-climatic zones and 9 eco-regions that are defined by ecological features, climate and plant and animal communities. The endemic fauna are: Himalayan field mouse, spiny babbler, Nepali kalij, 14 herpetofauna, and six types of fishes. Wildlife also include like endangered animals like the Royal Bengal tiger and the one-horned rhinoceros. Nepal is home 850 species of birds and more than half of these are found in the Kathmandu Valley.The natural resources of Nepal are water, hydropower, scenic beauty, quartz, timber, lignite, copper, cobalt and iron ore. Vast expanse of land in the country is used for agriculture with about 16 percent of total arable land. Of the total number of species found globally, 3.96 percent mammals, 3.72 percent butterflies and 8.9 percent of birds. Wildlife of Nepal is officially classified into two main categories: common and protected. The common category lists such species as common leopard, spotted deer, Himalayan tahr, blue sheep and others. These species are commonly seen in the wild. The protected species include 26 mammals, nine birds and three reptiles. These rare animals are confined to their prime habitats. The endemic fauna are: Himalayan field mouse, spiny babbler, Nepali kalij, 14 herpetofauna, and six types of fishes. Nepal has 185 species of mammals found in various parts of the country. Found in Nepal’s dense Terai jungles are exotic animals like the Asiatic elephant, the one-horned rhinoceros, the Royal Bengal tiger among others. Also found here are the leopard, monkey, langur, hyena, jackal, wild boar, antelope, wild cat, wolf, sloth bear, chital or spotted deer and barking deer. Wild buffalo locally called “Arna” is found in the Koshi Tappu region. The western Terai jungles of Suklaphanta is home of the of swamp deer, while the endangered blackbucks are found in the Bardia region. Nepal Government has made an effort to preserve blackbucks by declaring an area of 15.95 sq. km. in Bardia as Blackbuck Conservation Area. Nepal even has its own variety of dolphins found in the fresh waters of Narayani and Karnali rivers. The Himalayan region is also home to the elusive snow leopard and the red panda. Red panda, a rare sight because of its shy nature, may be found from Langtang region to Kanchenjunga region. Other mammals that live in high altitude areas are yak, blue sheep, Himalayan tahr and musk deer. While otters are found in the Rara region north west, the Dhorpatan hunting grounds is home of the blue sheep and Himalayan tahr. Nepal has two indigenous species of crocodile: the fish eating gharial with the long narrow snout and the marsh mugger which is omnivorous, eating anything it can catch. A very successful breeding project has brought the gharial back from extinction. Some of the snakes found in Nepal are: cobras, kraits, vipers and the Indian python. Other reptiles found in the country are turtles and monitor lizards. Some of these reptiles can be seen in the Chitwan National Park and Bardia National Park. Nepal has more than 850 recorded species of birds. Amazingly, half of these birds can be seen in and around the Kathmandu valley alone. The hills around the valley especially Nagarjun, Godavari and Phulchowki are popular birding areas. Phulchowki at 2,760 m boasts about 90 bird species including the endemic spiny babbler, which was thought to be extinct until it was spotted in Nepal. Another rare species of bird, the red-headed trogan, was also sighted here in April 2000. National parks like Chitwan and Bardia harbor a wide variety of birds too. In Chitwan, endangered vultures are being protected from contaminated food by establishing “Vulture Restaurant” which feeds them safe carcasses. The Koshi Tappu region is home to a large species of resident and migratory birds. It has about 26 varieties of ducks alone. About 485 species have been sighted here, including black ibis, honey kites, ospreys, black headed orioles, peregrine falcon, partridges, ruddy shelduck, storks, vultures and eagles among others.In the higher Himalayan region are found different species of the raptors and birds of prey. Nepal’s national bird, the Danphe or impeyen pheasant, is also found in the Himalayan region. A rare bird known as jerdon’s baza was sighted in Nepal. Over the past few years a conservation group has worked specifically in the Lumbini area to conserve the sarus crane. The main ethnic groups in Terai are Tharus, Darai, Kumhal, Majhi and other groups. They speak north Indian dialects like Maithili, Bhojpuri. Owing to the fertile plains of Terai, most inhabitants live on agriculture. There are, however, some occupational castes like Majhi (fisherman), Kumhal (potter) and Danuwar (cart driver). For more information about Nepali people. Of the total number of species found globally, Nepal possesses 2.80 percent plants. Record from 2006 shows that Nepal has 6,391 flowering plant species, representing 1,590 genera and 231 families. Nepal’s share of flowering plant species is 2.76 percent of the global total compared to earlier records of 2.36 percent. Nepal’s share of pteriodophytes is 5.15 percent compared to earlier records of 4.45 percent. There are 2,532 species of vascular plants represented by 1,034 genera and 199 families in the protected sites. Some 130 endemic species are found in the protected sites. © 2003 White Himalayan Adventure Treks (P.) Ltd.